Auschwitz. Hiroshima. Cambodia's killing fields. The World Trade Center. The mass graves of Rwanda. These places of violent death have become part of the recreational landscape of tourism, an industry that is otherwise dedicated to pleasure and escape. 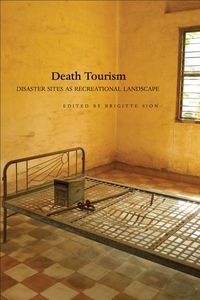 In dark places like concentration camps, prisons, battlegrounds, and the sites of natural disasters, how are memory and trauma mediated by thanotourism, or tourism of death?